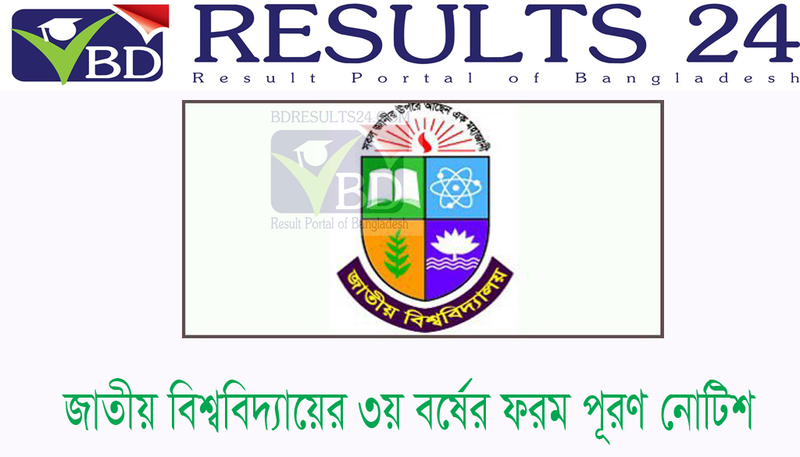 National University Honours 3rd year Form Fill Up Notice 2015. Honours 3rd year Form Fill Up and Exam Date Announced. 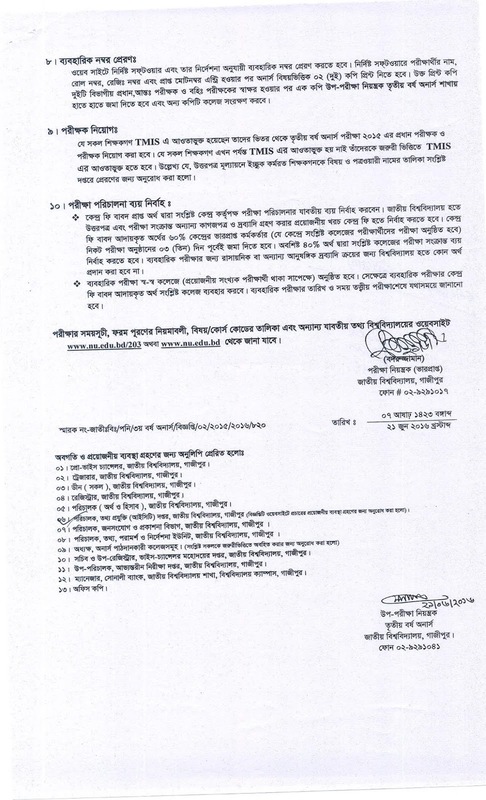 National University Honours 3rd year Exam Will be held on August 2016. All Candidates should be form fill the required payments. Let's check NU honours third year online application form for form fill up 2015. NU Honours 3rd Year Form Fill Up Notice. Next month of July 2015, NU Honours 3rd Year Exam 2015 will be held on August 2015. Concerned applicants have to complete form fill up & other related works by online. Concerned applicants have to pay exam fees. Data Entry Last Date: 31th July at 11:59pm. 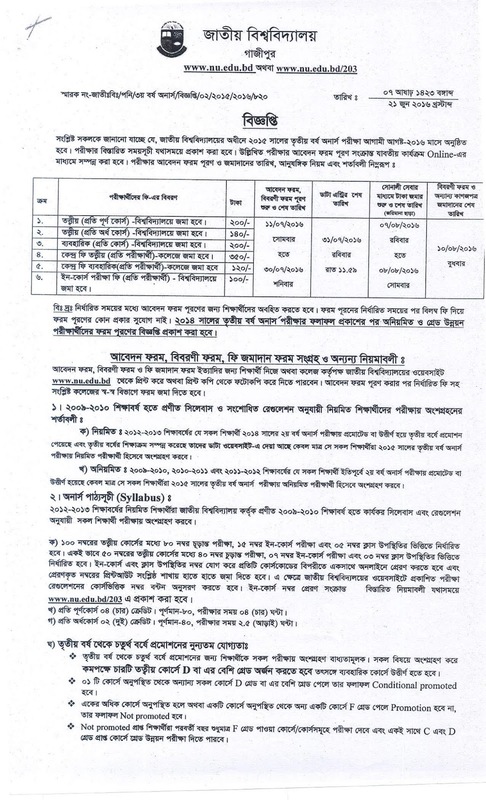 Examinees have collect application form from National University website at www.nubd.info/203 & www.nu.edu.bd. Then they have to fill up application form (examinee part) by own hand. Examinees have to submit application form & exam fees to the department head of associated colleges. Examinees have to check examinee’s roll no, registration no, course code etc. in report form & then they have to sign in it. Otherwise application will be cancelled. Examinees have to write course code (with practical & tutorial) in fixed place of application form, and have to add a recent stamp size attested photo with application form. You will get all Exam Routine 2015, honours 3rd Year exam 2015 information from our website and also from our Facebook page.